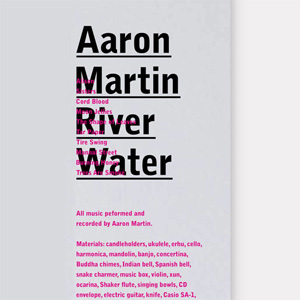 River Water is a more varied and energetic outing than Aaron Martin’s sober debut, Almond, published on Australian imprint Preservation in 2006. Martin takes the ephemeral world music concept and pushes it forward boldly, and although it’s something of a bitty collection, it’s one packed with episode and intense detail. There is something immediately engaging about Pass Fail, from the moment the eponymous opener stirs to life. 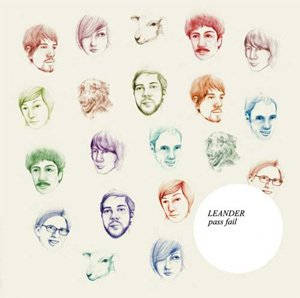 Languid vocals and drowsy indie colourings are given counterpoint by what sounds like a mislaid Autechre drum pattern. A melancholy mantra lingers – “And you say pass, fail, but this is not your voice” – an intriguing line whose meaning seems to drift somewhere out of reach of the listener. It is the sort of opener that offers untold promise – the casual delivery, the infectious tune, the dispassionate elegance of tone. And yet, for all its interest, this opening salvo proves to be a prelude to a series of disappointments that are as baffling as they are deflating. 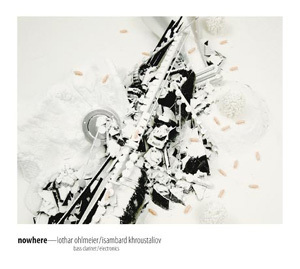 Nowhere is the first collaboration between Dutch jazz bass clarinetist and soprano saxophonist Lothar Ohlmeier and Isambard Khroustaliov, the alter ego of British experimental musician Sam Britton, who is more commonly known as one half of electronic entity Icarus. Ohlmeier studied music in Hannover and Amsterdam before establishing himself at the forefront of the Dutch improvised music scene. He has since collaborated with a wide range of jazz artists, including pianist Julia Sassoon and drummer Bart van Helsdinger, with whom he formed Azilut! in 2000. Now living in England, Ohlmeier continues to perform all over Europe. 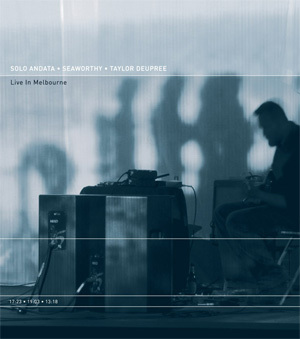 Meanwhile, beside his regular stint with Icarus, Sam Britton has been working on solo projects under his Isambard Khroustaliov guise, releasing a first limited CDR, entitled 8 Minutes, on the band’s imprint, Not Applicable, in 2002, followed by a collaborative effort with Italian-born percussionist Maurizio Ravalico, Five Loose Plans, in 2006. If staying in is the new going out, DiskJokke is the shiny banner that advertises it. Hailing from Oslo where, alongside like-minded characters like Prins Thomas and Lindstrom, he is at the forefront of the new Swedish dance scene, Joachim Dyrdahl has spent the last few years honing his dance floor potential at Sunkissed, one of Norway’s most notorious clubs, where he is a regular behind the decks. 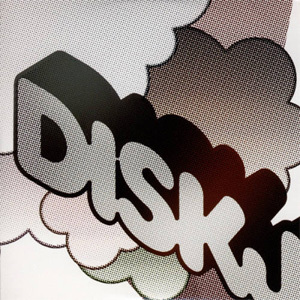 First spotted by Prins Thomas, who released three of his tracks, Dyrdahl has since, under the DiskJokke banner, had tracks featured on a handful of compilations, released a couple of EPs and is fast becoming a sought-after remixer. He is now signed to Norwegian imprint Smalltown Supersound. As the adage goes, wherever you bite a stick of rock, the word inside it is the same. And so it goes with this birthday prize of a compilation – wherever you look, the same eye-widening sense of newness and fun is on show. 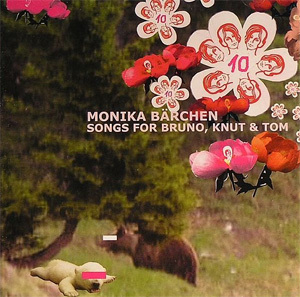 This tenth anniversary package of the German Monika Enterprise label is, perhaps unsurprisingly, not really what you would expect. Rather than resurrecting hip, effortless tracks that passed unnoticed a decade ago, Gut here brings together a collection of entirely new songs, all by long-time Monika stable-mates. But the intriguing thing is that, on first listen, this really does sound like a best-of in the worthiest sense – an album of career-defining classics. From Capri Sun electro guitar pop to underground polka techno, everything here just seems to fit. After fifteen years, Autechre still manage to surprise and inspire. 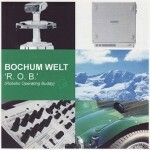 On Quaristice, Sean Booth and Rob Brown turn their back to the ultra precise soundscapes that have defined their work in recent years and focus instead on a much more spontaneous and direct sound, developed from their live sets. 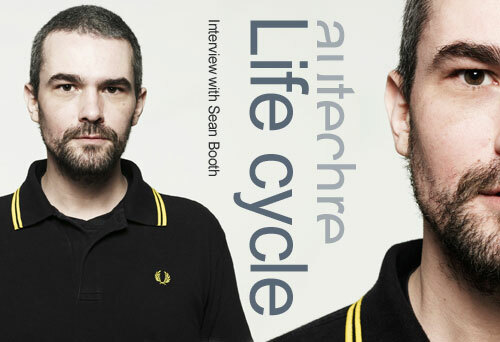 Mark Flanagan talks to Sean Booth about how the band’s live sound has infiltrated their studio work, how him and Rob work together, what they think of live bootlegs, and being Myspace’d. 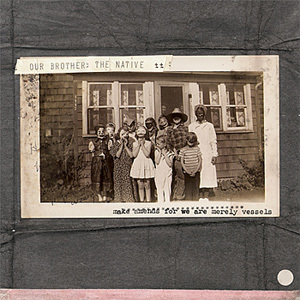 From the wild poetry of their debut, Our Brother The Native have drifted into much darker and tormented terrains with their sophomore effort. Indeed, while on Tooth And Claw, the band were found playing in the garden of CocoRosie and Animal Collective, Make Amends For We Are Merely Vessels depicts much more ghostly and gothic musical forms. Since 1995, Scottish musician Alistair Crosbie has been forging his own sound on the Glasgow underground scene, mixing drone, folk and pure noise whilst collaborating with like-minded musicians such as Brian Lavelle and Andrew Paine. His efforts were recognised by this website in December when his album This Quiet House featured in our top 20 long-players of the year. With a new release, Seven Starlings More on the way, he took a break from the studio to speak extensively to themilkfactory about his music, the failure of the pop industry, and a curious penchant for Girls Aloud. After the success of her recent Fabric mix, Berlin DJ Ellen Allien here takes over the controls on the Boogybytes series to deliver a tightly scripted disquisition on the micro-techno scene. With most DJ sets, there is a need to balance coherence with variety, and the new with the pleasingly familiar. Here, though, Allien aims for a sound whose consistency of beat and texture varies in slight details from one track to the next. It is a bit like listening to the slow and delicate shifting of tectonic plates – with the calamitous possibility of the quake lingering somewhere in the distance. Alongside bedroom boffins like Mike Paradinas, Luke Vibert and Chris Jeffs, Gianluigi Di Costanzo – or Bochum Welt – was one of the early reasons Rephlex was able to branch out from simply being an outlet for the prodigious output of Richard D. James. And yet he failed to go on to have anything like the success of some of his fellow label mates. Indeed, after 1997 and the release of Desktop Robotics and Feelings On A Screen, he seemed to disappear from the Rephlex line-up altogether.